Infallible Techie: How to enable Email Notification check box in case? How to enable Email Notification check box in case? 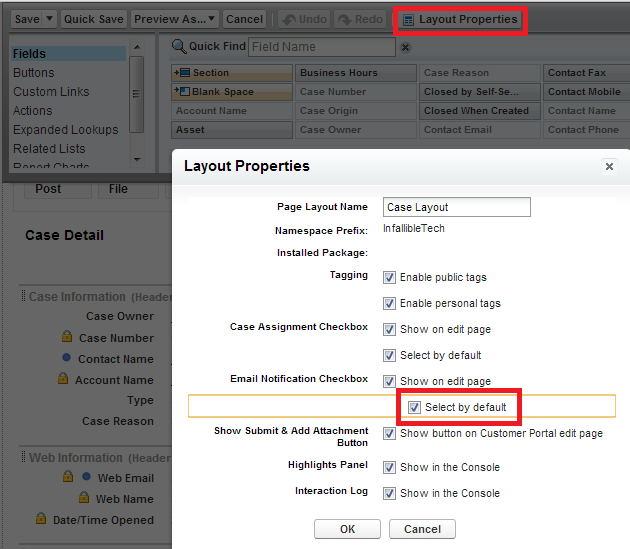 To enable Email Notification Check box by default, go to the Case object page layout, click edit, select "Layout Properties" and check "Select by Default" check box in "Email Notification Check box".